Sterling Land & New Homes Department are delighted with instructions to sell this stunning penthouse style apartment block which has a range of high specification apartments completed and ready to move in to asap. 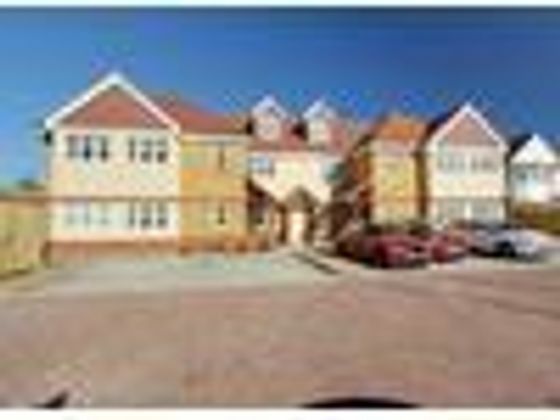 Positioned in the very heart of the sought after village of Aston Clinton the apartments provide spacious and bright accommodation and make an ideal 'lock up and leave' for any buyer looking for a secure location. The ground floor apartments have their own private and enclosed garden terraces while the first floor penthouse apartments have extensive balconies overlooking the well manicured and extensive communal gardens to the rear. The luxurious internal specification includes underfloor heating, video security entry phone, top grade sanitary ware to the bathrooms and ensuites and a well appointed kitchen which is fully loaded with appliances. The bedrooms are of excellent proportions and are further complimented by a stunning living/dining room providing ample space for entertaining. Another advantage of the property is allocated parking to the front.SpecificationsBuilt to an exceptional specification, highlights of the apartments include Mabelle Bespoke Kitchens Fully integrated Kitchens with Neff appliances and induction Hobs Karndean flooring " Fully zoned Under floor heating Fully integrated camera security entry system with internal neighbour contact High specification bathroom and en-suites with full tiling and floating wc About Aston ClintonAston Clinton is set within picturesque countryside at the foot of the Chiltern Hills. The spiritual home of Aston Martin, this popular village has four public houses, a large park with tennis, football and bowls clubs, lovely walks, trim trail and playground. The cricket club is a short walk away from the park and adjacent to the pretty village church. There are a host of charming country pubs and restaurants nearby.On Your DoorstepLess than four miles away in Aylesbury you will find all the large grocery retailers including Waitrose, together with the Waterside theatre, an Odeon cinema and an array of high street brands. Close by, the characterful towns of Wendover and Tring also offer a wide choice of retail and recreational facilities.Fitness And LeisureFor family fun, Go Ape and Wendover Woods are full of award-winning outdoor adventure activities and breathtaking scenery or you can splash out at Aqua Vale swimming and fitness centre. For more peaceful surroundings, visit the country house retreat of Waddesdon Manor or play a relaxing round on the stunning 18-hole course at Chiltern Forest Golf Club, set in an Area of Outstanding Natural Beauty.Schooling In The AreaFor families seeking a state primary school, both Aston Clinton primary School and the outstanding Halton Community Combined Primary School are in close reach. For secondary education, there is a choice of Grammar schools - Aylesbury Grammar School for boys, Aylesbury High School for girls or the co-educational Sir Henry Floyd Grammar School. The John Colet co-educational secondary school located in Wendover is also within easy reach. There are several independent primary and secondary schools including the highly regarded Berkhamsted School in the area.Transport LinksAston Clinton is a haven for commuters thanks to its close proximity to major road and rail links. The A41 bypass is less than one mile away and connects directly with the M25 at junction 20 and leads to the M1 at Junction 8. The car journey time to Central London takes approxima one hour. The nearest stations are Stoke Mandeville station at just under 3 miles away with direct trains to London Marylebone arriving in just under an hour, or Tring station which is 6 miles away with direct trains to London Euston taking approxima 35 minutes.Showhome PhotographyPlease note all internal pictures are of the showhome ( Apartment 8 ) and are indicative of finish. Please call to discuss particular apartments and specification's accordingly.Agents NotesThank you for showing an interest in a property marketed by Sterling Estate Agents. Please be aware, should you wish to make an offer for this property, we will require the following information before we enter negotiations: 1. Copy of your mortgage agreement in principal. 2. Evidence of deposit funds, if equity from property sale confirmation of your current mortgage balance i.e. Your most recent mortgage statement, if monies in bank accounts the most up to date balances. 3. Passport photo ID for ALL connected purchasers and a utility bill. Unfortuna we will not be able to progress negotiations on any proposed purchase until we are in receipt of this information.You may download, store and use the material for your own personal use and research. You may not republish, retransmit, redistribute or otherwise make the material available to any party or make the same available on any website, online service or bulletin board of your own or of any other party or make the same available in hard copy or in any other media without the website owner's express prior written consent. The website owner's copyright must remain on all reproductions of material taken from this website. Property advert Ref 4238084 - Is a property advert for marketing purposes only, the information has been supplied by the owner, estate agent or property portal and The House Shop makes no warranty as to the accuracy or completeness of the information. Furthermore we have no control over the adverts content. This property advertisement does not constitute property particulars. Please contact the advertiser to obtain any information regarding The Energy Performance Certificate regarding homes in England and Wales or Home Report for residential property in Scotland.